Contractor vs. Employee: What’s Better for your Business? Deciding between hiring a contractor and an employee can be difficult. Making the wrong choice can have a significant impact on your business. However, the popularity of contract work has grown over recent years. In fact, in 2018 NPR reported that 1 in 5 jobs in America is held by a contract worker. What’s the difference between contract workers and employees and how can you benefit? Let’s compare a contractor vs employee position with the pros and cons of each. A contractor is someone that signs a contract with you to provide services, labor, materials or other work-related requests. This individual is contractually bound to work for you but is not an employee of your company. As a result, they do not have access to the benefits your company offers. Contractors are excellent for services that need to be performed on an as-needed basis or within a specific time frame. Since a contractor can perform specific work for you on an as-needed basis, they are not on your payroll. That means you can use their services and pay them as-needed, too. No health benefits mean less expense for you overall. Independent contractors might also have plenty of expertise in their field. This can serve your business well without going over budget. Contractors essentially operate as their own business and can determine their own time frames for the work in question. Having less control over the work you delegate is a significant disadvantage that young entrepreneurs will want to avoid. Rates for independent contractors are also often much higher than employee rates which can hurt you in the long run. An employee is someone officially employed by your company. They tend to have a set salary and schedule with specific and routine job responsibilities. They are usually eligible for any benefits your company might offer. It is advantageous to have employees because are you in control of their work. You also help to build a lasting member of your team who shares your company values. Having dedicated employees to help work towards a common goal can go a long way towards building a solid business. If employee performance is an issue, it might be more difficult to terminate the professional relationship. In many states, employers must have significant evidence that the employee has been performing under expectations. During the hiring process, it is important to vet thoroughly as you want people who mesh well with your team. When it comes to contractor vs employee, the best option for your company depends on the type of services offered. Writers, for example, often make great contractors. Manual labor workers do, too. Receptionists, on the other hand, are almost always better as employees because they need an in-depth understanding of the business. Take your time and research which positions you should fill with employees and those you might consider contracting out. Variety is often the best answer. Make sure to create detailed job descriptions and vet your potential contractors and employees well. Consult the experts to see which option is better for your company. 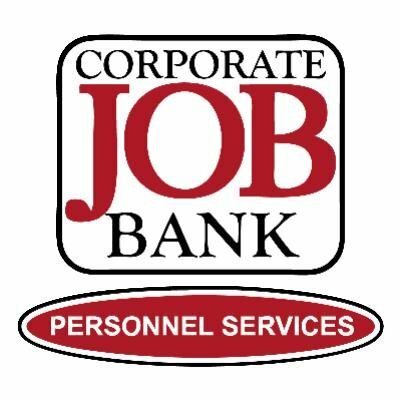 The experts at Corporate Job Bank have extensive resources and industry connections to help you determine whether you need a contractor or employee.